After all, if "Rock of Ages" could make a mint from 80s hair metal, there is no reason "Cruel Intentions" can't do the same for 90s pop rock. Why See Cruel Intentions: The 90s Musical Experience? In 1999 Sarah Michelle Gellar, Ryan Phillipe and Reese Witherspoon achieved cult status with raunchy teen drama Cruel Intentions, a feature film adaptation of Pierre Choderlos de Laclos' Le Liaison dangereuses. Proving the public's unfailing fascination with the scintillating story, Sucker Love Productions' popular Off-Broadway engagement, which ran for 112 performances into early 2018, now enjoys a national tour! Adapted by Jordan Ross, Lindsey Rosin, and Roger Kumble, and comprised of deliciously dark manipulations, blossoming romance and bittersweet symphonies, Cruel Intentions: The 90s Musical Experience tells the tale of devious step-siblings Sebastian Valmont and Kathryn Merteuil. Bored with the comforts that wealth can buy, they turn their attentions to new girl and daughter of their school's headmistress Annette Hargrove, placing a risque bet that sets a whirlwind of passion, true love and revenge into motion. Told through the original films iconic 90s score featuring the likes of Bozy II Men, REM, NSYNC and of course, The Verve, this is one nostalgic rollercoaster you won't want to miss. 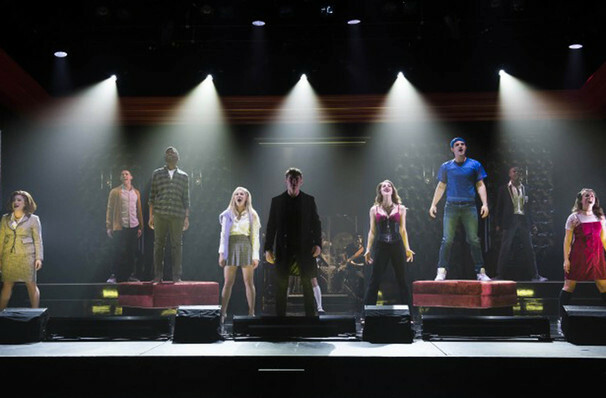 Seen Cruel Intentions: The 90s Musical Experience? Loved it? Hated it? Sound good to you? 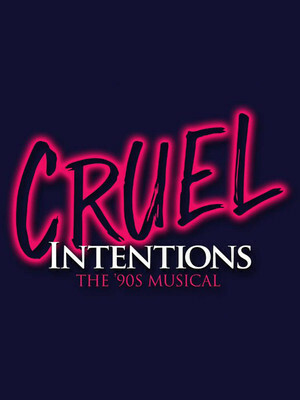 Share this page on social media and let your friends know about Cruel Intentions: The 90s Musical Experience at Durham Performing Arts Center. Please note: The term Durham Performing Arts Center and/or Cruel Intentions: The 90s Musical Experience as well as all associated graphics, logos, and/or other trademarks, tradenames or copyrights are the property of the Durham Performing Arts Center and/or Cruel Intentions: The 90s Musical Experience and are used herein for factual descriptive purposes only. We are in no way associated with or authorized by the Durham Performing Arts Center and/or Cruel Intentions: The 90s Musical Experience and neither that entity nor any of its affiliates have licensed or endorsed us to sell tickets, goods and or services in conjunction with their events.